Keys Residential are an independent, London real estate agent and letting company. 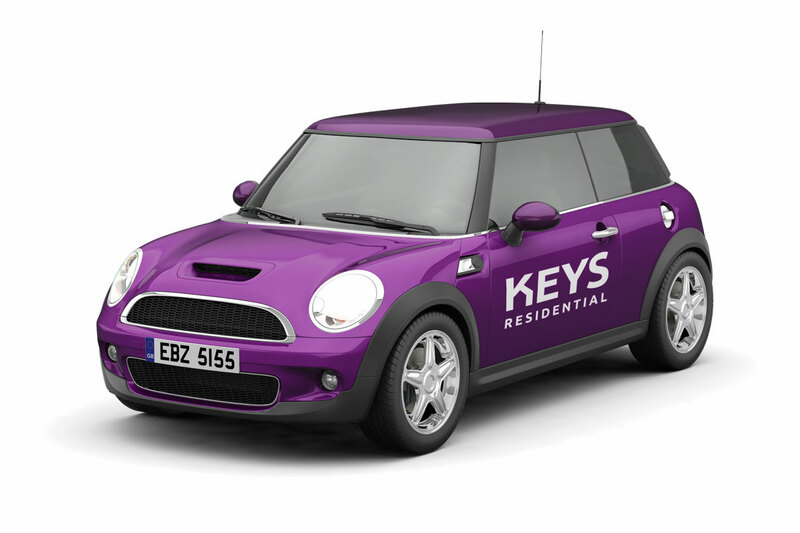 Established in 1974 in New Malden, Keys Residential have grown into one of the largest independent Letting Agents in North Surrey and South West London. 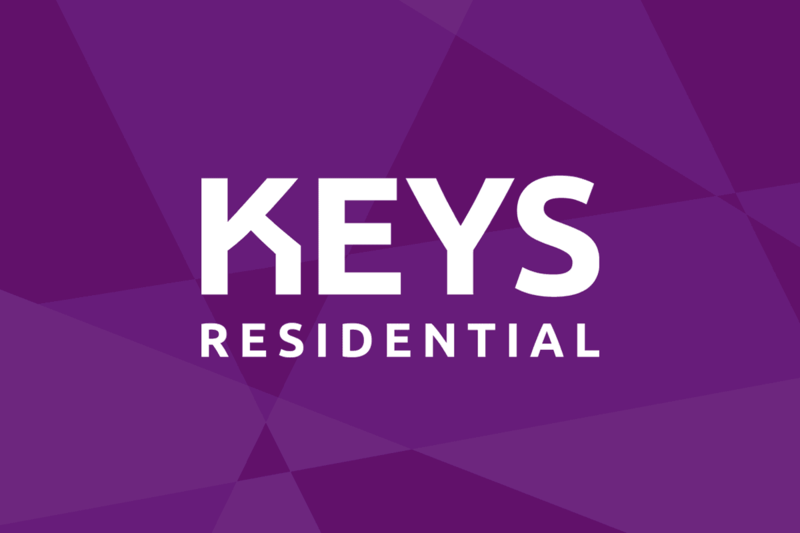 The Keys Residential brand image had become a little dated and they felt a full company rebrand was in order to reinvigorate the name. Despite an existing logo design already having been established, it was recommended that a totally fresh company rebranding process be taken. Our focus within the company rebranding process lay within creating a cohesive identity across all media. Moving away from the original green to a vibrant purple colour scheme allowed for an increased scope to make the successful rebrand eye-catching, both online and on the street. The leading “K” from Keys acted as a symbol of a residential home within the underside of the letter – the simplified roof suggesting that Keys Residential could put a roof ‘over your head’. 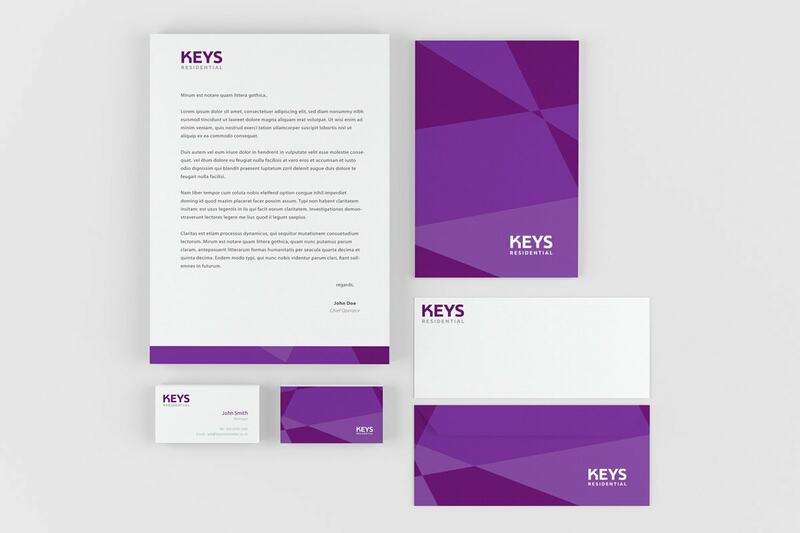 An abstract, geometric colour pattern was created to adorn stationery such as business cards and brochures to further emphasise the new logo and colour palette, whilst getting customers used to the new brand. Isn't it time you considered Company Rebranding? Is your dated Brand losing your customers? Get in touch with Inkbot Design today to find out how a company rebrand can boost your business overnight.